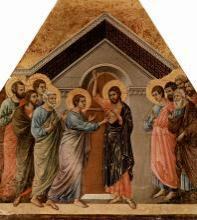 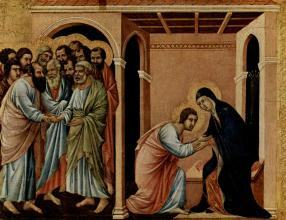 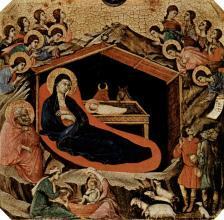 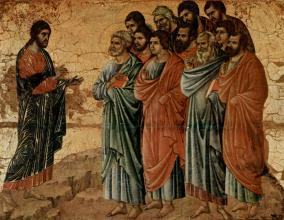 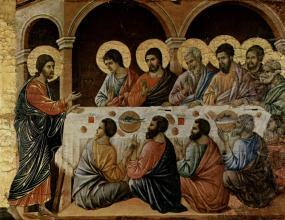 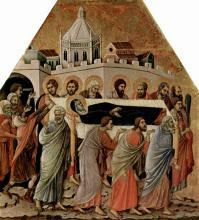 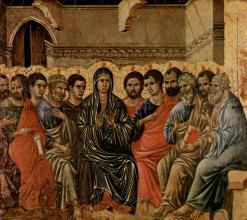 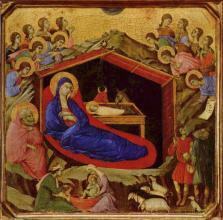 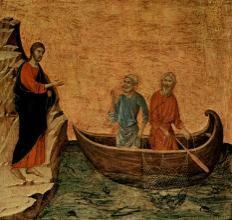 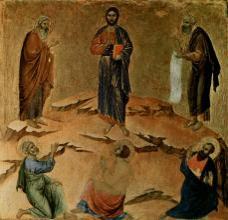 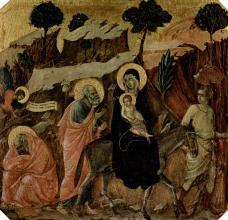 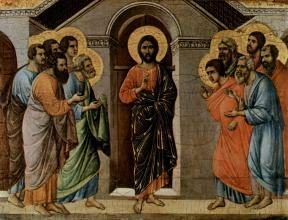 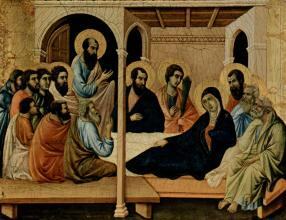 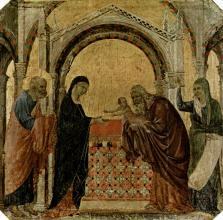 Duccio di Buoninsegna (c. 1255-1260 – c. 1318-1319) was one of the most influential Italian artists of his time. 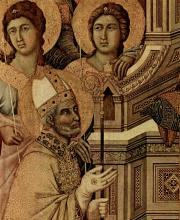 Born in Siena, Tuscany, he worked mostly with pigment and egg tempera and like most of his contemporaries he painted religious subject matters. 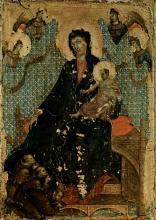 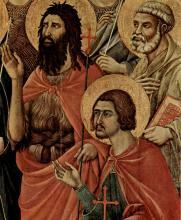 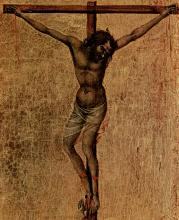 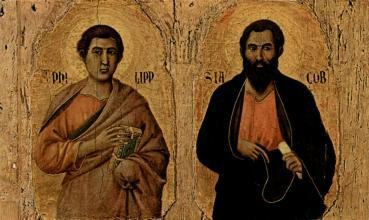 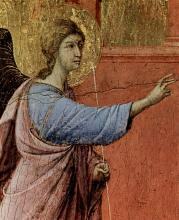 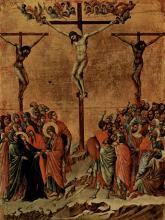 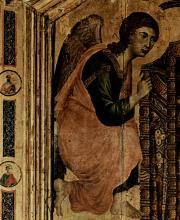 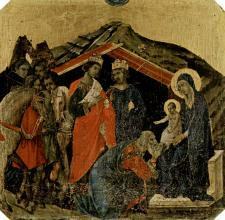 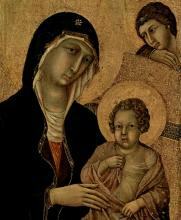 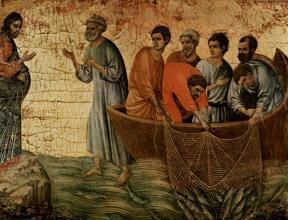 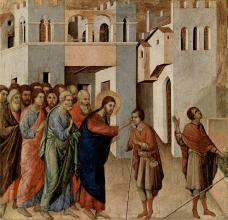 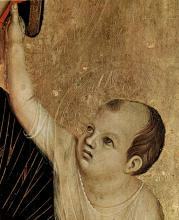 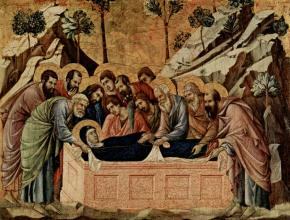 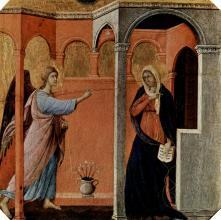 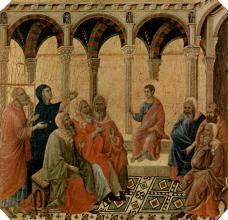 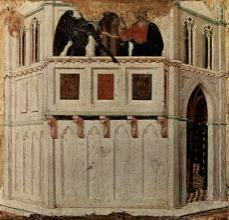 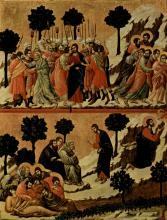 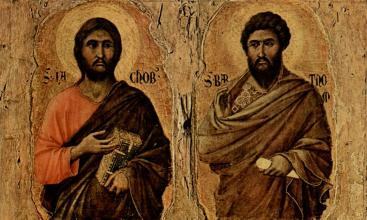 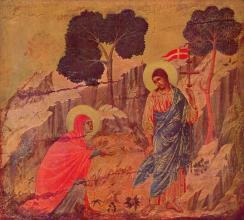 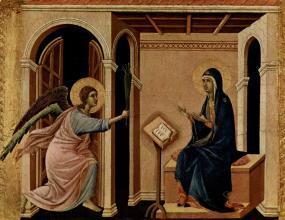 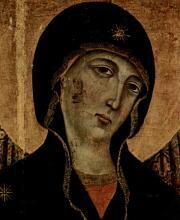 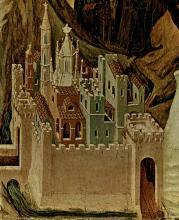 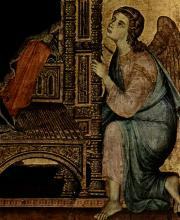 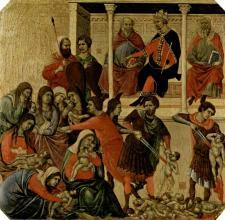 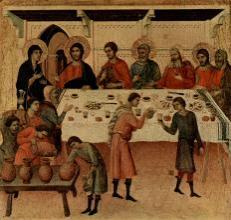 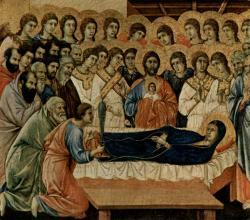 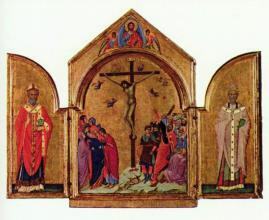 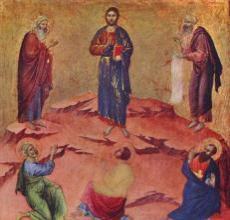 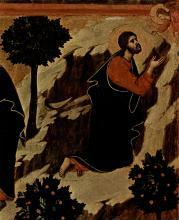 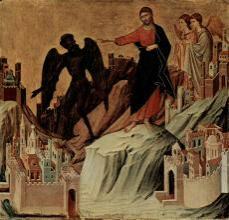 He has influenced Simone Martini and the brothers Ambrogio and Pietro Lorenzetti, among others. 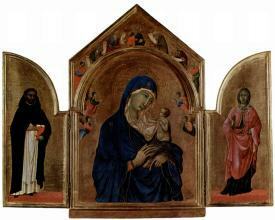 His works include the Rucellai Madonna (1285) for Santa Maria Novella (now in the Uffizi) and the fabled Maestà (1308-11), his masterpiece, for Siena's cathedral. 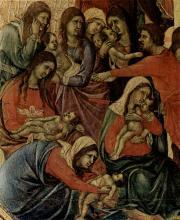 The centre of the Maestà depicts the Virgin and Child enthroned and surrounded by angels and saints.